The Anatomy of Research Scandals. 2017. “For the past two years, I have taught a seminar on medical research scandals. The syllabus looks like a highlight reel of exploitation and abuse: children fed plutonium-laced breakfast cereal, prisoners dosed with the active ingredient in Agent Orange, mental patients given psychedelic drugs and massive electroconvulsive therapy before being sent into curare-induced paralysis and a coma. I designed the seminar to crush the idealism of future physicians by illuminating the dark patterns that research scandals typically follow. The most recent scandal we examined happened to be one of the most lurid. Anatomy in the Third Reich: an outline, part 3. The science and ethics of anatomy in National Socialist Germany and postwar consequences. Black money in white coats: whither medical ethics? “Many physicians are involved in relationships that create tension between a physician’s duty to work in her patients’ best interest at all times and her financial arrangement with a third party, most often a pharmaceutical manufacturer, whose primary goal is maximizing sales or profit. Despite the prevalence of this threat, in the United States and globally, the most common reaction to conflicts of interest in medicine is timid acceptance. There are few calls for conflicts of interest to be banned, and, to our knowledge, no one calls for conflicted practitioners to be reprimanded. Contrast our attitudes in medicine with public attitudes toward financial conflicts among government employees. When enforcement of rules against conflict of interest slackens in the public sector, news organizations investigate and publish their criticism. Yet even when doctors are quoted in the media promoting specific drugs, their personal financial ties to the drug maker are rarely mentioned. Policies for governmental employees are strict, condemnation is strong, and criminal statutes exist (allowing for corruption charges). Yet the evidence that conflict is problematic is, if anything, stronger in medicine than in the public sector. Policies against conflicts of interest in medicine should be at least as strong as those already existing in the public sector. 🛑 Conflicts of interest in research involving human beings. “A massive illegal vaccine trading ring, operating in Shandong province, China, since 2011, has been shut down by the Chinese authorities, resulting in 37 people being detained. The official Chinese news agency, Xinhua, said that 25 different types of vaccines were procured from over 100 licensed and unlicensed pharmaceutical sales people. Dishonesty, misconduct and fraud in clinical research: an international problem. 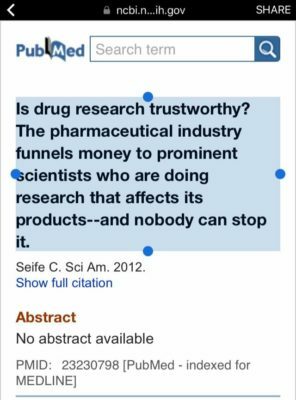 The ethics of pharmaceutical research funding: a social organization approach. In conclusion, evidently there are a number of reasons why research misconduct takes place: Academic pressure, personal desire for fame, “sloppy” science, financial gain, and an inability to determine right from wrong, to name a few. This demonstrates a need for a new system of prevention, investigation, and education to curtail research misconduct, therefore instilling, into the general public, a renewed sense of trust and respect for medical research. In order to prevent research misconduct, further discussion of its definition and its various facets is needed, therefore resulting in an international consensus on a single, universal definition of what constitutes research misconduct. Additionally, ethical standards need to be made clear so that researchers can determine whether their work breaches certain codes. Furthermore, there needs to be an alleviation of pressure on researchers, as well as greater control of research sponsored by outside organizations. Moreover, organizations’ investigation into research irregularities must be fair, prompt, transparent, and allow for retractions to be made promptly once evidence of misconduct has been confirmed. Also, there needs to be greater protection for whistleblowers, as well as ensuring a right of appeal. The investigation can be conducted at either institutional or national level, depending on the gravity of misconduct. However, organizations need to be equipped with effective resources and a certain status in the wider community, thereby ensuring public confidence. Greed and the medical profession. 🛑 Is drug research trustworthy? The pharmaceutical industry funnels money to prominent scientists who are doing research that affects its products–and nobody can stop it. 🛑 Medicine, the media and monetary interests: the need for transparency and professionalism. Money is putting people at risk in biomedical research. 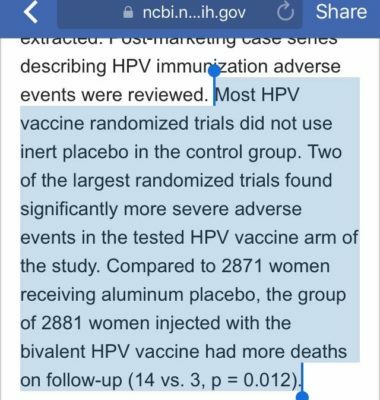 Physician Dismissal of Families Who Refuse Vaccination: An Ethical Assessment. Preparing whistleblowers for reporting research misconduct. Quiet killings in medical facilities: detection & prevention. The purpose of this article is to prompt a public discussion concerning the “quiet killings” that have occurred and are occurring in our medical facilities, hopefully leading to a robust debate over improving methods of detecting and preventing such killings. The importance of this subject cannot be overstated, particularly in light of the ever-increasing numbers of people who will be admitted to, or living in, medical facilities as the first of the “baby boom” generation reaches age sixty-five in the year 2011 1 and the number of employees who have routine access to these patients or residents. In 2000, hospital admissions were over thirty-three million 2 and in 1999 nursing homes had 1.7 million residents. 3 Hospital employees number over four million and nursing home employees another 1.8 million. 4 To these institutions and people having access may be added the residents of homes licensed to dispense medication and all of the visitors to all of the facilities. The article will provide evidence of these quiet killings, define the scope of the problem they present, discuss some problems in detecting, investigating and prosecuting these killings, and suggest methods for detecting and preventing the killings. 5 Not only will the implementation of methods for detecting and preventing such killings save lives, such activity will save the reputation (and financial resources) of health care professionals and medical facilities by reducing their exposure to civil and criminal liability. Revealing the faults in medical journals. Spoliation of medical records: negligent, reckless, and intentional destruction of evidence. When medical records are altered or missing. “This essay documents the state of the medical profession which was once a respected line of work but today is corrupted at every level, from medical education to medical practice, and ir both the private and government sectors. It calls for doctors, thE government and the public to act against dishonest doctors restore the dignity of the profession and work for the benefit of society.